Frank Guly, husband of the late Ollie (Sahan) and father of Christopher, died peacefully at the Hôpital Montfort in Ottawa at 3:50 a.m. on March 25, 2019 following a near 15-year battle against the ravages of dementia. Born in Winnipeg on April 29, 1925, the youngest of eight children of Ukrainian-immigrant parents Michael and Anna (Solowij) Gulij, Frank received his elementary and secondary education at St. Nicholas (now Immaculate Heart of Mary Ukrainian Catholic School), King Edward and Isaac Newton schools. He had hoped to pursue university studies, but his father’s sudden and tragic death in the Canadian Pacific Railway yards, where he worked in 1942, found Frank getting a job at CP Rail in 1944 to help support his family. His 45-year career as a carman was highlighted when he was named “Employee of the Year” for Winnipeg division in 1988. A 40-year member of the Brotherhood of Railway Carmen of Canada, Frank hung up his CP hardhat in 1989 and received a Community Service Award from the City of Winnipeg. 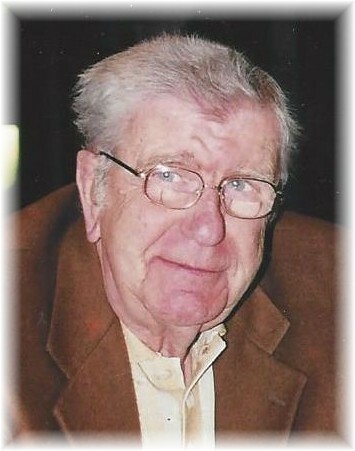 Frank’s personal passion was for baseball, which he loved watching and most especially, adored playing as a catcher and later as a pitcher with five Winnipeg teams, most notably the Canadian Ukrainian Athletic Club (CUAC) Blues, champion of the Greater Winnipeg Senior Baseball League when he joined in 1944. Fifty-five years later, Frank and his former Blues teammates were inducted into the Manitoba Baseball Hall of Fame. Frank was also a longtime member of St. Nicholas Ukrainian Catholic Church in Winnipeg, where he was baptized and married; served as an altar boy; and was a member of the Men’s Club and Knights of Columbus. His son, Chris, will remember Frank as a best friend, mentor, confidante and father who encouraged ideas and imagination, supported critical thinking and hard work, and nurtured love and compassion. A funeral Divine Liturgy will be held in Winnipeg at 10 a.m. on Saturday, April 6 at St. Nicholas Ukrainian Catholic Church, 737 Bannerman Avenue, with his friend, Fr. Isidore Dziadyk, OSBM, as the main celebrant. Frank will be laid to rest at Holy Family Cemetery, 4355 Main St. A reception will follow in the church hall. In Frank’s memory, friends are encouraged to financially support organizations involved in dementia-related research, and raise the importance of finding a way to avoid this dreaded neurodegenerative disorder during this federal election year. May Frank live on in eternal memory.